The original foundations of MyHealthandFitness began in 1985, having been originally named SRATE (Speed-Strength, Resistance and Training Education), which seemed too technical for the general fitness buff. A few years later the name was changed to Advanced Fitness Concepts as Dr. Tindall (our founder) was at the time very involved in training serious to extreme fitness for executive protection specialists, martial artists, and military special operations interests for extreme physical performance during crises. 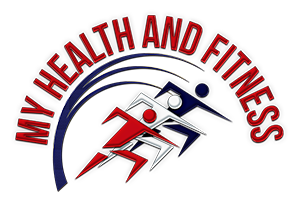 In June 1996, the name was finally changed to MyHealthandFitness and is distinctive in that we were the first “My” website on the Internet, preceding My Space by 7 years. Directly after this, Dr. Tindall was working and training collegiate and professional athletes at the University of Colorado – working with Doc “E.J.” Kries, Donnie Maib and Dave Pletl, as well as continued work with professional NFL players and other professional athletes. MyHealthandFitness was developed to assist young and old alike, male and female, in the achievement of individual health, nutrition, fitness, and training goals. Since its founding, Dr. Tindall has continued training world-class professional athletes such as former IFBB Fitness Pro’s Stacy Simons and Carla Sanchez and her Performance Ready team, notable gymnasts such as Suzanne Pearson, as well as many other professional NFL athletes, special operations personnel and, average individuals on their path to good health, fitness, or specific skills development. This site was in large part, built for the latter. Our site is the result of 30-years experience in the field of fitness, training, health, and nutrition. There are only two parts to your fitness program: 1) get started and 2) slowly increase your intensity. The goal of MyHealthandFitness is to help you do just that. The concepts and information within this site are for children who want to be fit, to begin that first strength-training program the proper way, and for those who aspire to be world-class athletes of the future. They are for high school athletes who desire to earn that scholarship and perhaps elevate to professional status. And, they are for the professional athletes who wants to be the very best and compete on the world stage! The concepts and information found herein are for women who want to be generally fit or in superb athletic conditioning and physique for an upcoming IFBB Fitness Competition or other athletic even; for women who are pregnant and desire to know the proper training methods to use for continued fitness until and after childbirth; for women who want to know more about the effects of osteoporosis and exercise in regard to individual health, menstruation, and other areas of fitness that are specifically related to women. This site is for men who want to become fit and stay fit, from a general fitness level, playing in city-league ball tournaments or even for achieving an advanced athletic status level and participating in iron-man competitions. This site is for the professional athlete who wishes to develop greater skills in his or her sport and learn methods of speed-strength training that will enhance his or her natural abilities. This means transferring effective training from the gym to the field of play, which means you must train correctly. Remember, you cannot train like a bodybuilder or marathon athlete if you wish to excel in professional ball sports – let us show you how. MyHealthandFitness is also for the elderly, the senior citizens among us who desire to lead a fit lifestyle with the ability to continue living life to a fullness of quality each and every day, to be able to play golf, take a cruise, or stroll along the beach with the peaceful feeling that comes from the comfort of well-being and efforts of physical fitness. Whether you are a young child, high school athlete, man, woman, elderly, or professional athlete, MyHealthandFitness will show you how to achieve and remain at your best, to reach your pinnacle of fitness, as well as the role of proper nutrition and longevity of health in that quest. If you cannot find the answer to your questions within the pages of this site, please contact us to be put in touch with one of our online trainers, therapists, nutritionists, or M.D.’s who will be happy to help you in your quest. Whether you want to discuss fitness, supplements, nutrition, training or overall health, at MyHealthandFitness, we know that everyone has different needs in these areas thus, whether your goal is to lose weight or gain lean muscle mass; become a bodybuilder or a world-class athlete; learn about and get help with an eating disorder; or to simply get in shape for the summer so that you can wear that special bikini or other swimwear — we can help you. We can advise you on diet and nutrition; what to eat and when, and what you should not eat. 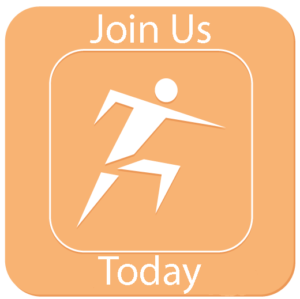 MyHealthandFitness can help you with exercise planning and programs; whether you just wish to get started or perfect difficult athletic skills, we can teach you the proper methods of training for the goal and/or sport you have in mind and provide the program and milestones necessary to get you there. For the high-school to professional athlete we will develop your program so that it directly translates the skills you learn in the gym to enhanced performance on the field of play! We will help you with what to buy, from the “must have” gear to the best, scientifically recommended supplements. We will inform you on what is worth your money and what is not. The mission of MyHealthandFitness is to provide you, the user, with all the information, tools, and support you need to achieve your personal health, nutrition, and fitness goals. To truly empower you to become your own expert in these areas. The MyHealthandFitness is a global community where you will meet like-minded friends, find a gym buddy, and converse with others who seek the truth, without all the market hype, in this important area of your life. Try our free social media network to find friends and gain that desire to progress (www.hafsocial.com). We are the leading health and fitness content destination on the Internet and are here to help you. This online home of MyHealthandFitness features only articles that have a scientifically supportable claim. If research cannot support the article, you will not find it within these pages. We have no agenda except to help you sustain your healthy and happy lifestyle. Have a happy and healthy day!